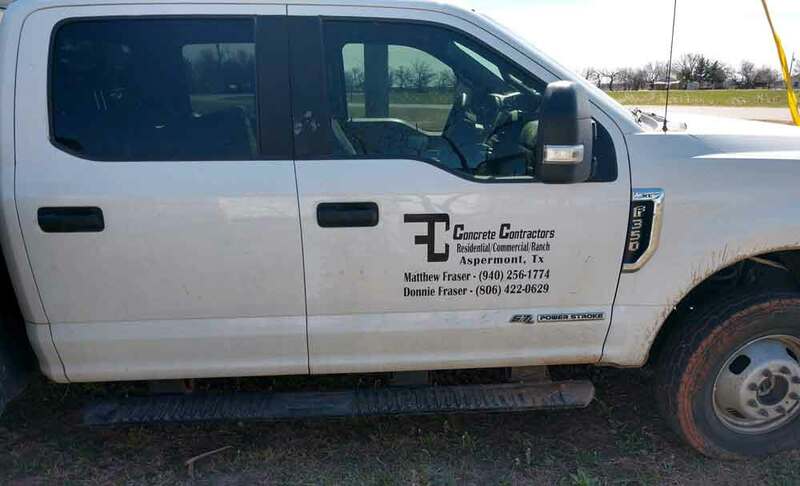 Fraser Concrete Contractors is proud to serve the concrete needs of customers throughout Aspermont, TX and the surrounding region. We welcome projects throughout Cottle County, Fisher County, Hall County, Jones County, Kent County, King County, Motley County, Scurry County and beyond. Regardless of the size or nature of the project, count on us to deliver results that stand strong and look great. Give us the chance to earn your business, and we won’t let you down! Give us a call today or contact us through the form below for more information about our capabilities or the types of projects we specialize in.